This afternoon’s setback at the hands of Curzon Ashton at Edgar Street means the Bulls’ next match at York has taken on greater significance. Weather permitting the game on Tuesday night could be a cracker. York secured a dramatic 3-2 win at Alfreton this afternoon, from what looked to be a losing situation, whilst the Bulls were beating Curzon 1-0 before somehow ending up on the wrong end of a 2-1 scoreline. Marc Richards’ side now lie four points clear of the relegation zone with a game in hand over Ashton United, but the York win at Alfreton has lifted City three points ahead of Hereford. Indeed, there are only 9 points between Blyth Spartans (11th) and Hereford (19th) demonstrating just how competitive this league really is. The Bulls also face Leamington and Ashton United in the next fortnight. Crucial games. Lat chance to see Bootham Crescent, last chance. York are moving 2 miles out of town this summer. Their new rented home is an 8.000 all-seater stadium, shared with the local odd ball shaped crew. York City applied for permission for safe standing at one end. The Chairman agreed to cover the extra £200,000 this would cost but the Sports Ground Safety Authority refused to sanction it. That’s food for thought for anyone needing to make major ground improvements. Like Hereford. The sale of their venerable pile is the only way for City to clear their mounting debts, widely considered to be well over £5 million. City were a Football League side just 3 years ago. (A Championship club for 2 years in the 1970’s) And you think we have problems? A full-time club with bigger gates than us, they make a loss every season and are now moving out of town to a rented ground. Doesn’t sound ideal for future sustainability. Despite being full-time, they are far closer to relegation than promotion and are on their third manager this season. The previous incumbent Sam Collins only had 26 games in charge, which included an extended spell as a caretaker. He had a win percentage of 38% but that wasn’t enough. 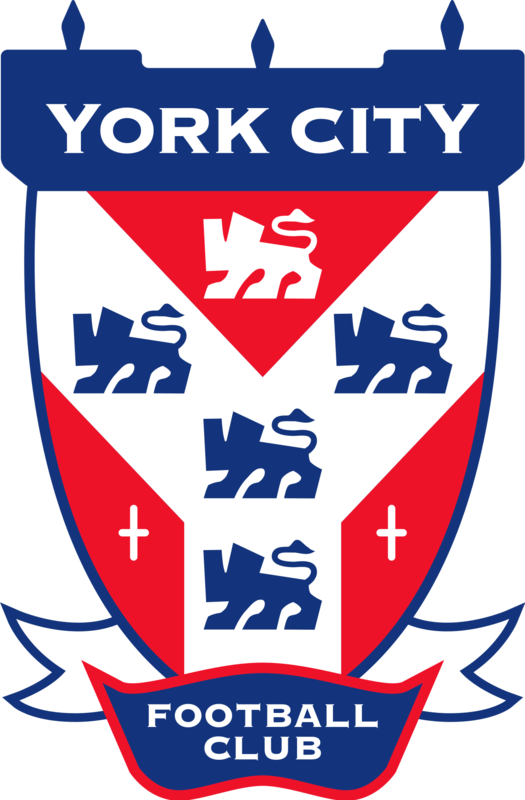 More confusion and more cost for York who still “hope to make the play-offs”. Time will tell. The City squad started the season with manager no 1 who was sacked after a few games. caretaker Collins was appointed who after a few impressive results, was given the job. Just months later, he was out the door and in comes manager no 3. Sounds like a recipe for confusion and poor morale. Latest for the poisoned chalice is former WBA midfielder Steve Watson who resigned from Step One Gateshead in early January to take the gig. Watson’s problem is the same as his predecessor – he inherited several well-paid professional players under contract, who, according to York Fans Forums, are underperforming. For instance, the Beast – 36-year-old Jon Parkin – hasn’t started a game for months and wasn’t on the bench either until the latest manager recalled him but Parkin is under contract until the summer. The first team have recently relied on loanees but 4 returned to their parent clubs in January. Midfielder Liam Agnew, a loanee from Harrogate, is the first of the new batch of temporary talent to join. Must mention York goalkeeper Adam Bartlett, now 32 with 540 games behind him, including 110 for Hereford United. Seems Adam makes a positive name for himself wherever he goes. He has 6 England C caps and was inducted into the Blyth Spartans Hall of Fame (his first club of 8). City’s glaring problem has been their away League form. Up to Jan 21, they lost 8 in a row, conceding 21 goals, but then came this afternoon’s amazing 3-2 win at Alfreton Town. At home, unfortunately for us they are much stronger with 6 wins, 3 draws and 4 defeats by Chorley, Alfreton, Kidderminster and Bradford. That’s pretty much top 7 home form. Although I generally admire old grounds, 80-year-old Bootham Crescent isn’t a personal favourite. There’s been no remedial work here for many years and it shows. Visitors cop for an uncovered fenced away and crumbling terrace (Grosevenor Road End) with antique facilities (literally in the case of the Gents). Cheerily, the away end is sometimes called the Prostrate Cancer UK Stand. Admission is adults £14, over 65’s/ students £10. Under 18’s £6. For £1 extra, you can opt for seating along the touchline in the Pop Stand. Take your binoculars, you may be able to see the home support, corralled somewhere in the distance. Still, there is history and memories in this ground, such as the home terrace, the David Longhurst Stand. This is famously named after the striker who tragically suffered a heart attack during play in a York v Lincoln game. He was only 25. Situated next to the ground is the 1922 bar. Away supporters are normally admitted which is handy as the pub has four real ales. Given this is an evening game and our fourth longest away trip at 392 miles return from the Shire, I doubt anyone will be exploring city centre pubs. Thus, I’m not going to mention any. Bootham Crescent is based in the Clifton area of the city, just shy of a mile walk from the city centre. City have no car parking so take pot luck with the side streets which aren’t restricted (streets around Burton Stone Lane are best). City recommend Marygate, Bootham Row and Union Terrace car parks, all about 800 yards away. There will be competition for parking. York’s average gates are higher than ours, despite their years of misery. But they should be bigger given York is a wealthy city with a population twice the size of the whole of Herefordshire and only one senior club to support. York City have their own fanzine. Proper club! Y Front is City 7th different publication. I’d like to show fanzine editor solidarity and wax lyrical but in all fairness I can’t. It’s a very traditional format, nowt wrong with that but what disappoints me are the numerous grammatical errors, the superficial and sometimes bizarre articles and worse of all the editors name does not appear anywhere. That is so wrong. But having trashed it, I still say if you’re going and see a copy on sale, make your own mind up. By Reg: Reg is bravely driving a minibus. £25 per seat and includes stops en route. Visit Hereford Awaydays Facebook for more.